Published by Mountainblog on 05/28/2018 . 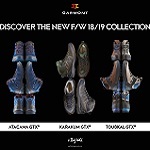 The new 9.81 N.Air.G GTX® Surround® is a footwear designed for active users who alternate different fast sports in the mountains, from speed hiking to trail running. 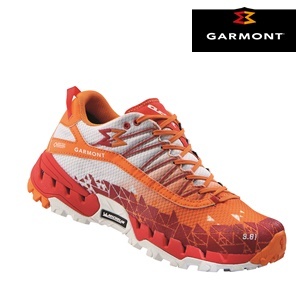 The innovative GORE-TEX® SURROUND® technology provides outstanding waterproofness and breathability. The Michelin® Free Cross, thanks to the differentiated lugs, ensures optimal grip on mixed terrains. The 9.81 N.Air.G GTX® Surround® comes in two colourways for men and one for women; it also presents a mid-cut version. 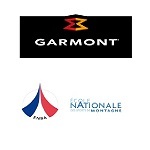 Founded in 1964 and distributed in over 40 countries worldwide, Garmont® is a premier performance footwear brand for mountaineering, hiking and other outdoor pursuits. 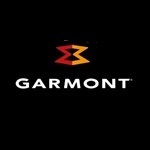 Garmont® is committed to researching and applying cutting edge materials, technologies and innovations to its product design and development, for outdoor footwear designed to complement the foot's natural anatomy. 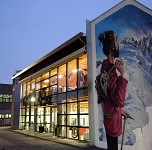 Integrating the latest technologies with its craftsman heritage, the brand offers a full range of footwear to enjoy the mountains and the outdoors regardless of the weather or the season with the goal of continuously elevating end user experience in terms of comfort, fit and function.